We are vehicle locksmiths and we can supply cut and program replacement Ford car keys including the Ford Fiesta. If you need a replacement Fiesta car key either as a spare or if you have lost or damaged your existing car key we will be able to help you. 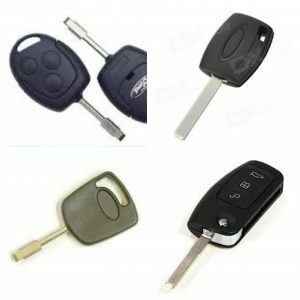 We offer both the standard Ford Fiesta key (remote without central locking buttons) and the Ford Fiesta remote fob key (with remote central locking buttons) and we carry these in stock so if you need a car key today we can do the job. We are fully mobile car locksmiths and can supply cut and program keys for all makes of car van and truck, if you need a replacement key give us a call and speak to a locksmith 07813 802039.